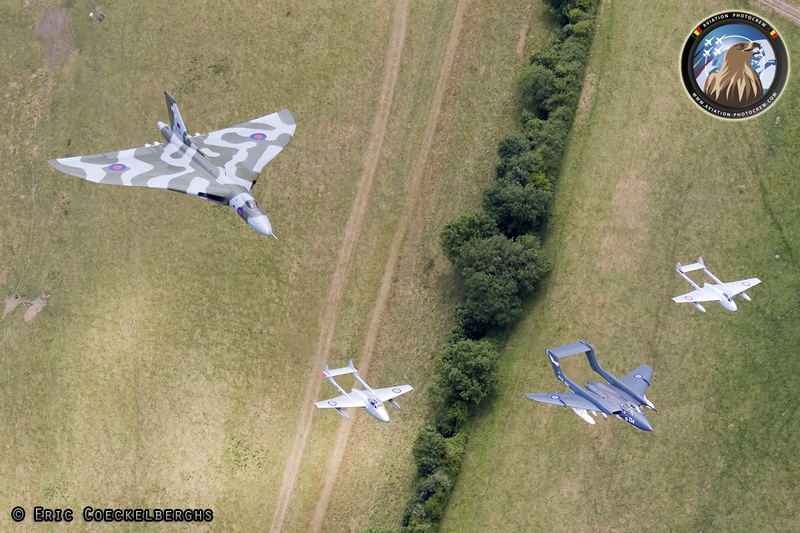 During the Yeovilton Air Day, a very unique formation was planned to open the Airshow. 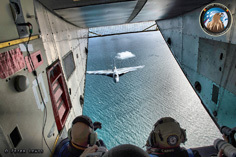 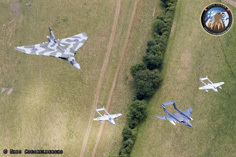 Called theV-Formation, it was comprising of a Sea Vixen, two Vampires and a Vulcan, signifying British jet-heritage. Everything went perfectly according to plan, resulting in a unique sight never to be forgotten nor seen again by the crowd, as well as resulting in some amazing pictures by the photographers in the Skyvan. 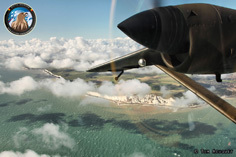 A second truly unique photomission was planned over the North-Sea, along the white cliffs of famous Beachy-Head near Eastbourne. 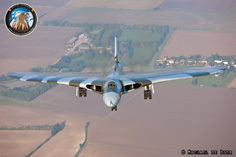 Despite the heavy winds, the weather could not have been any better. The sky had such a clear air, with some fluffy clouds over the water, almost like a painting. 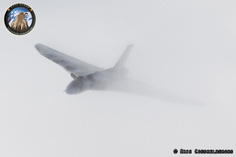 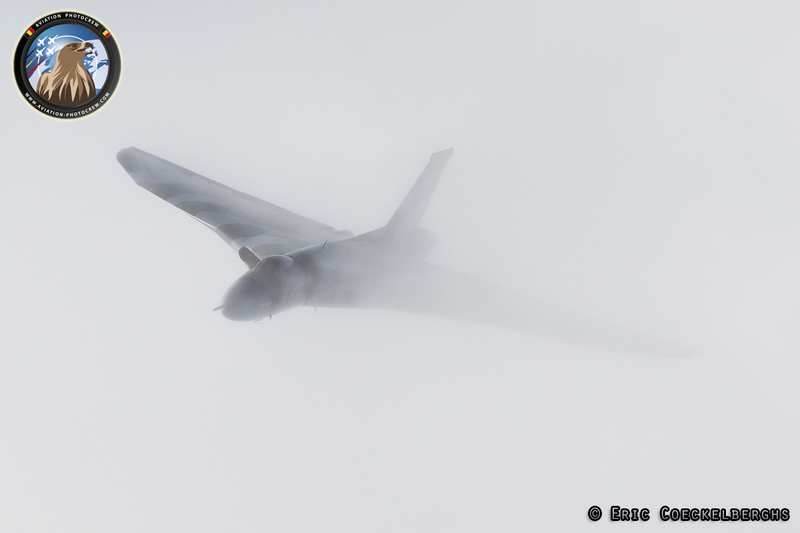 The high humidity created some awesome vortex over the delta-shaped wings of the Vulcan. 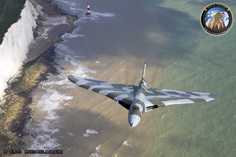 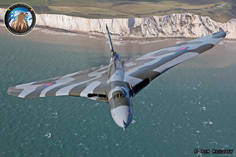 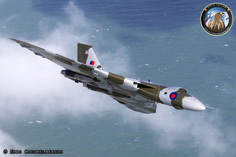 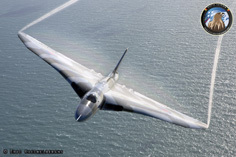 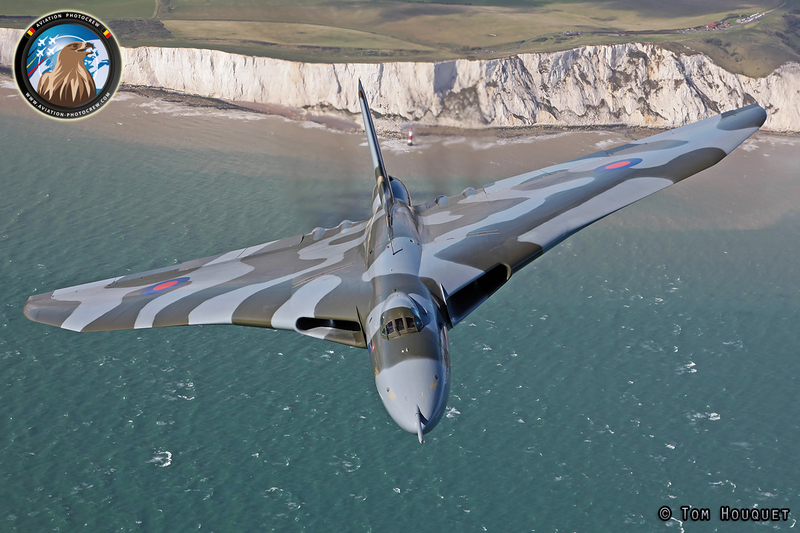 With a last passage over the Beachy-Head lighthouse, the Vulcan broke off to complete its flight visiting multiple Airshows and events that day. 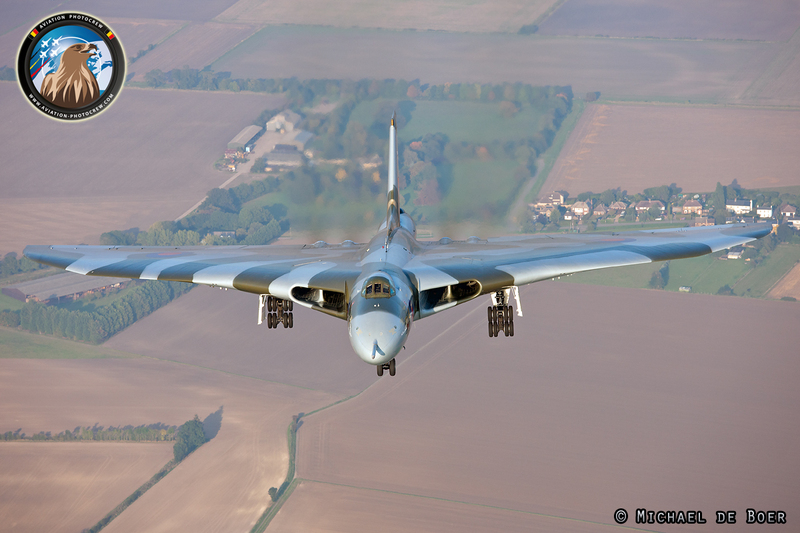 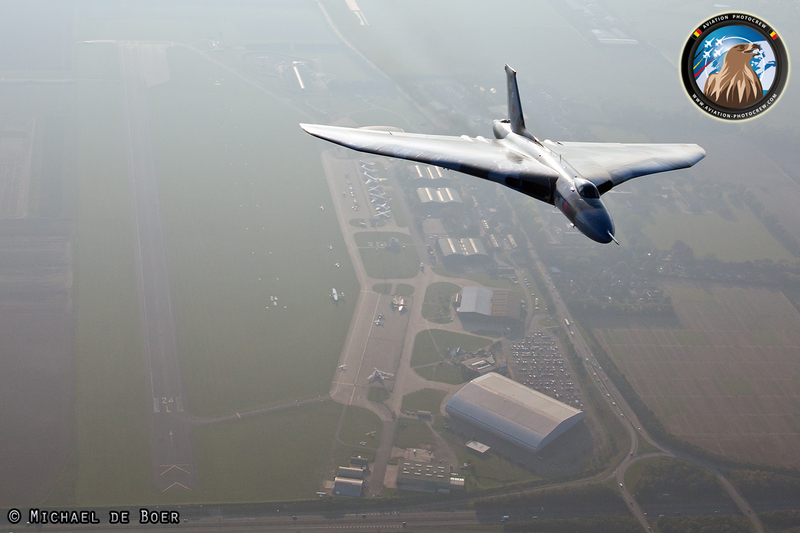 At the end of the year the Vulcans last ever flight was nearing, and in October we planned our very last photomission over Duxford. 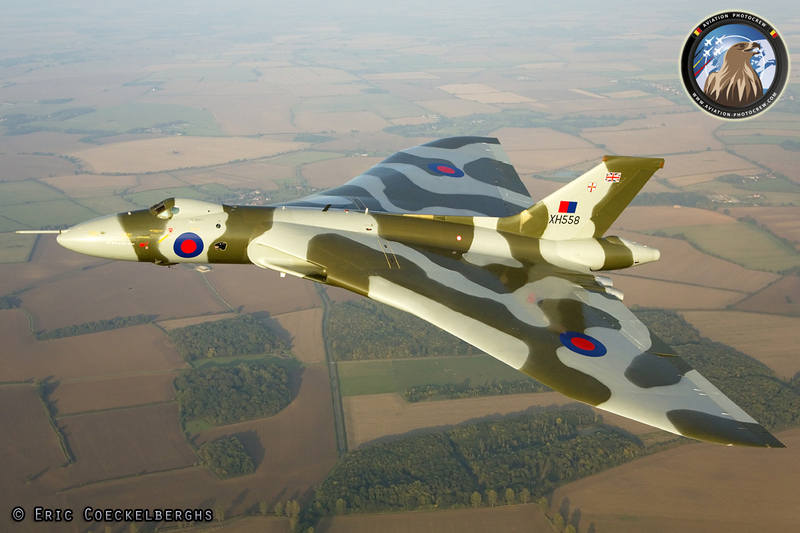 With the great autumn weather, the contrast was very different to the previous photoshoot. 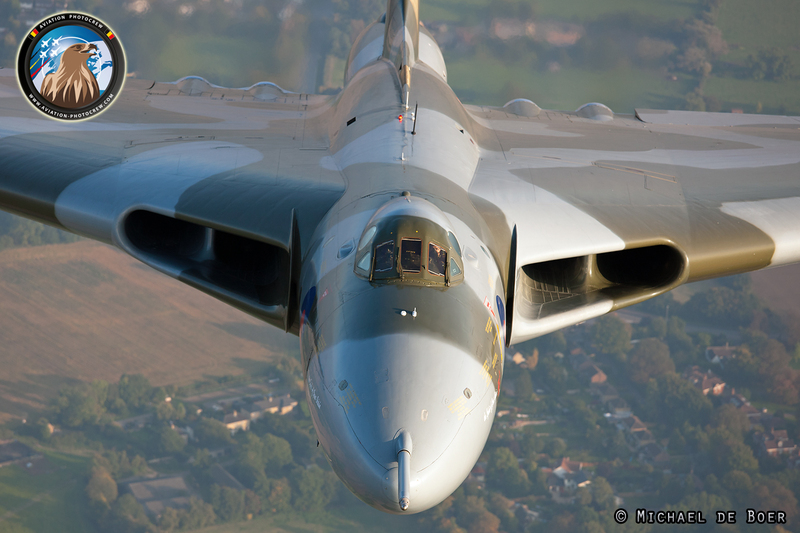 The sun was shining low over the horizon, which created the warm colours. 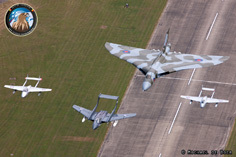 The Vulcan crew showed-off their aircraft for the very last time, coming close to the Skyvan photoship and breaking away with the bomb-bay open. 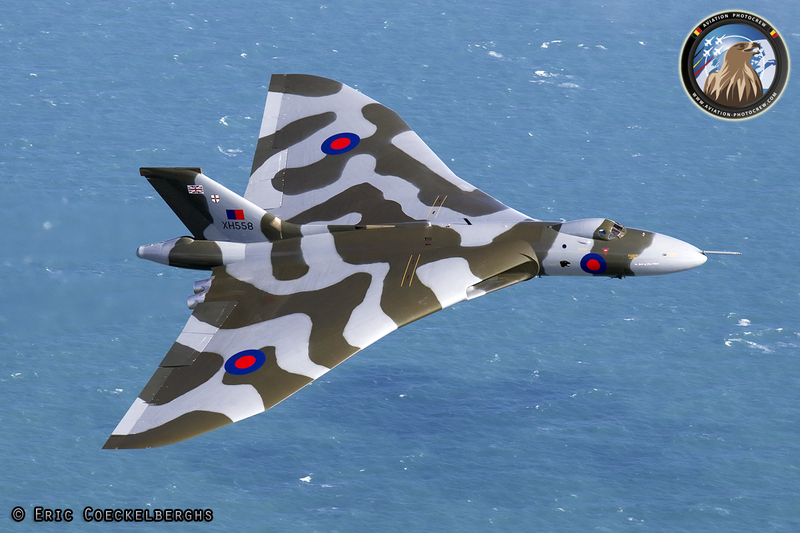 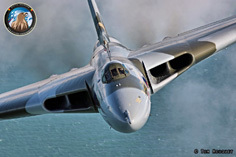 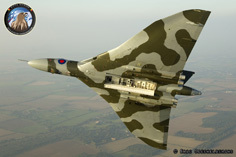 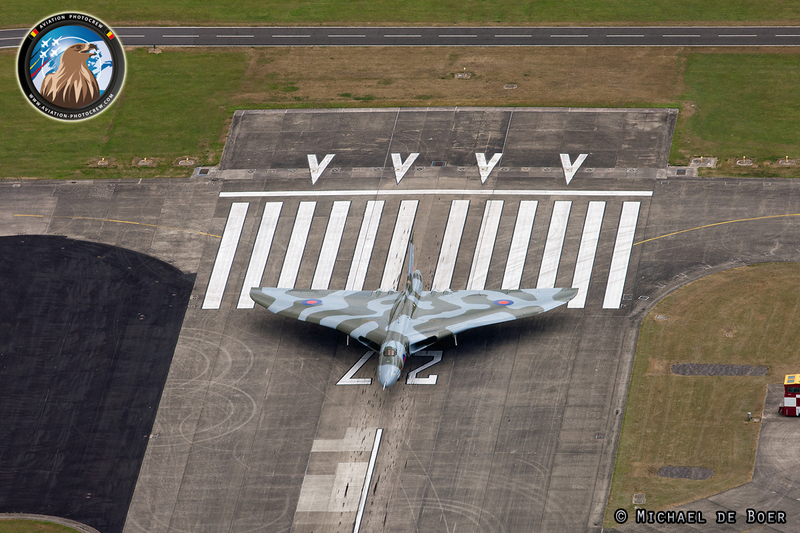 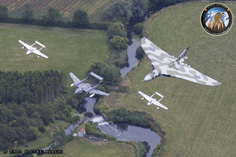 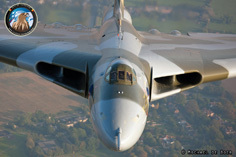 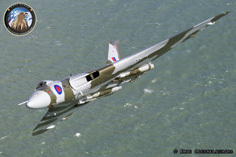 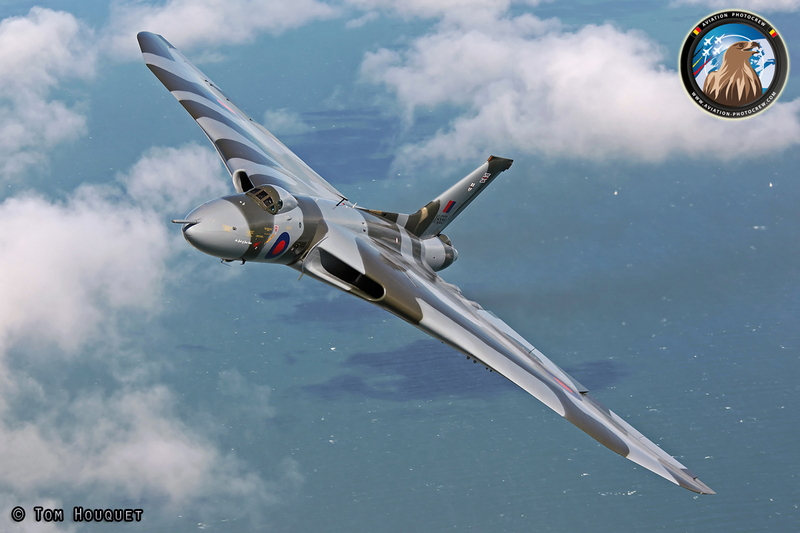 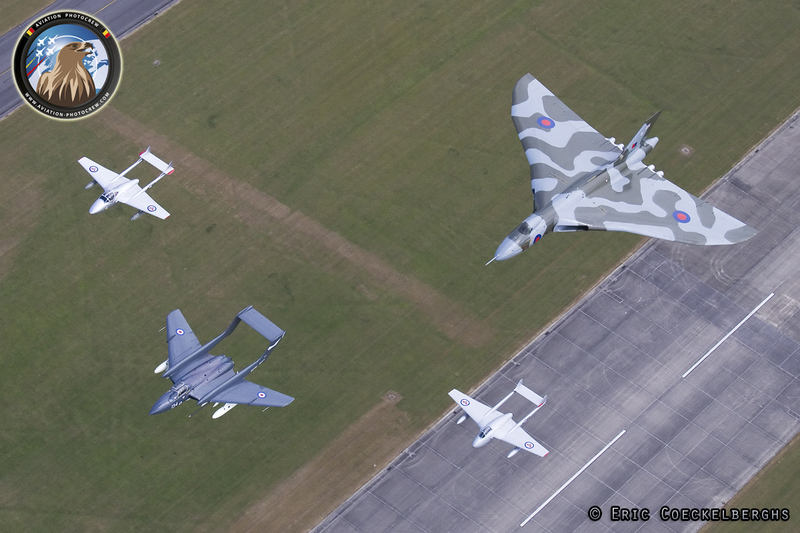 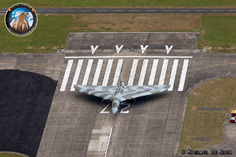 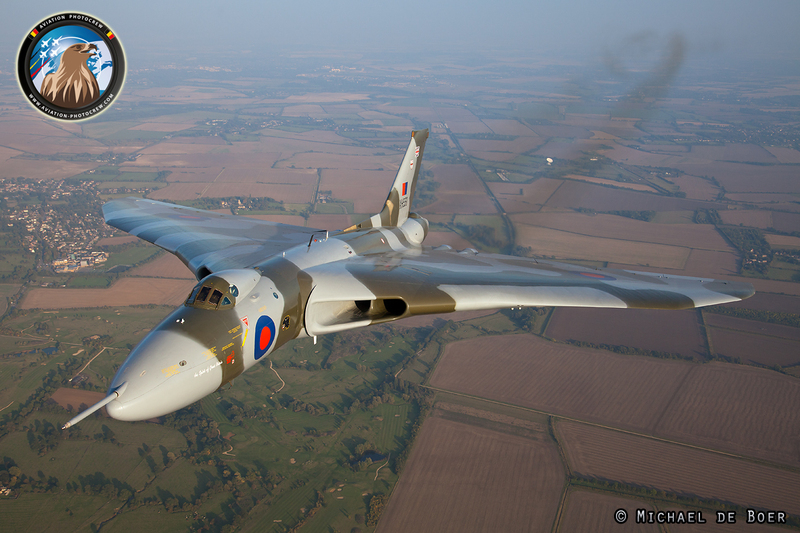 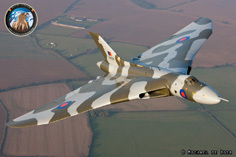 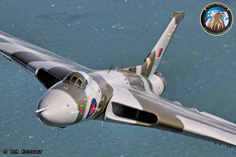 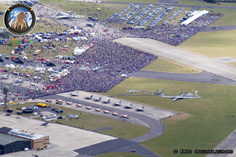 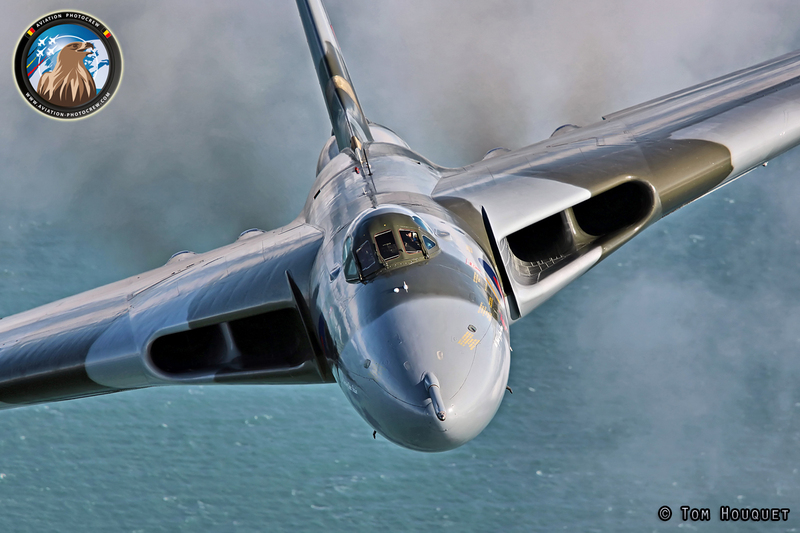 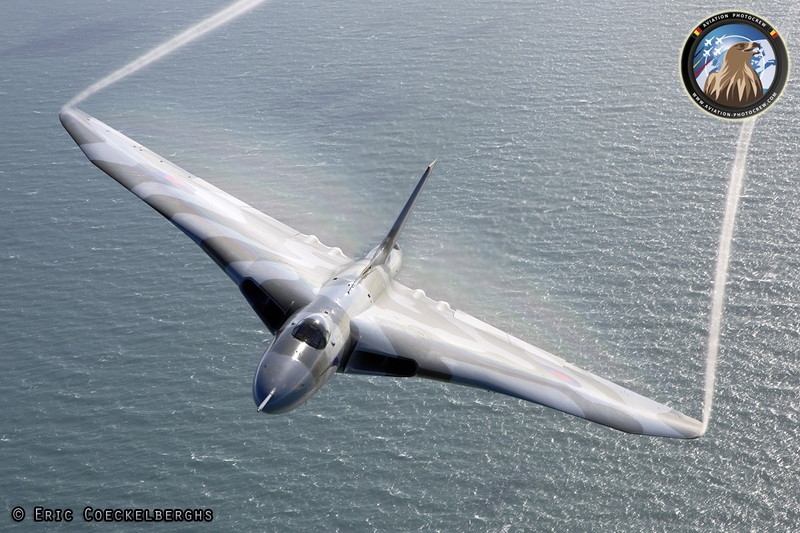 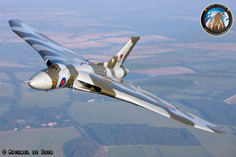 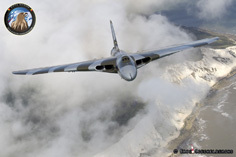 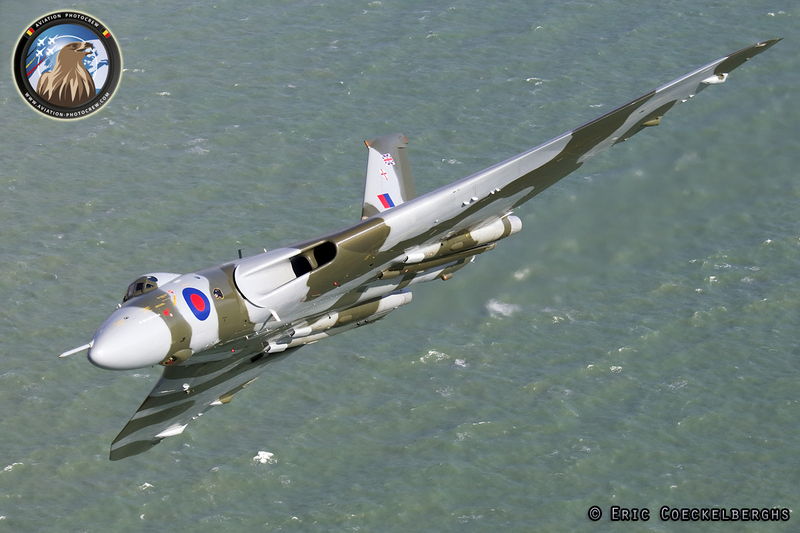 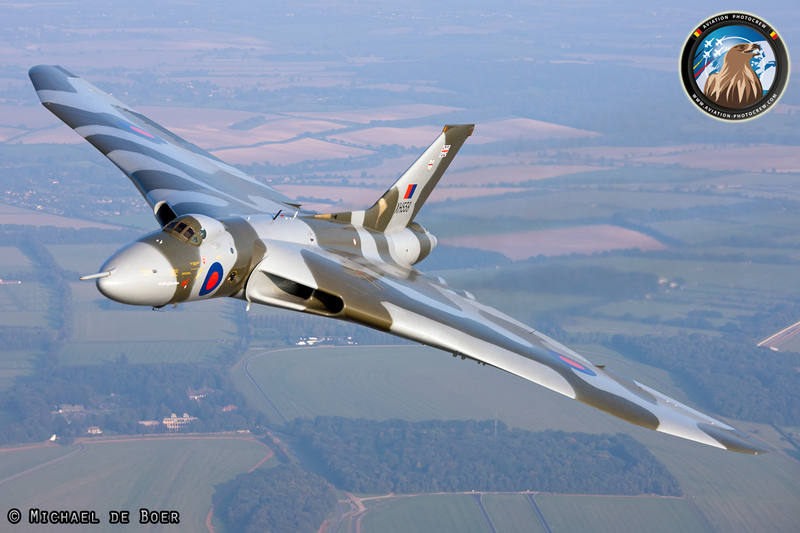 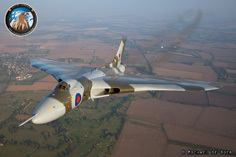 The return of the Vulcan, to the Sky, has had a tremendous effect the Airshows she visited. 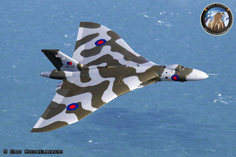 With its distinctive shape and roaring sound it wowed millions of people. 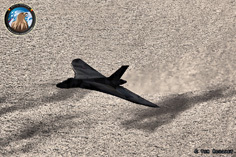 It showed with the cooperation of many, this unique project was hugely successful and inspired many. 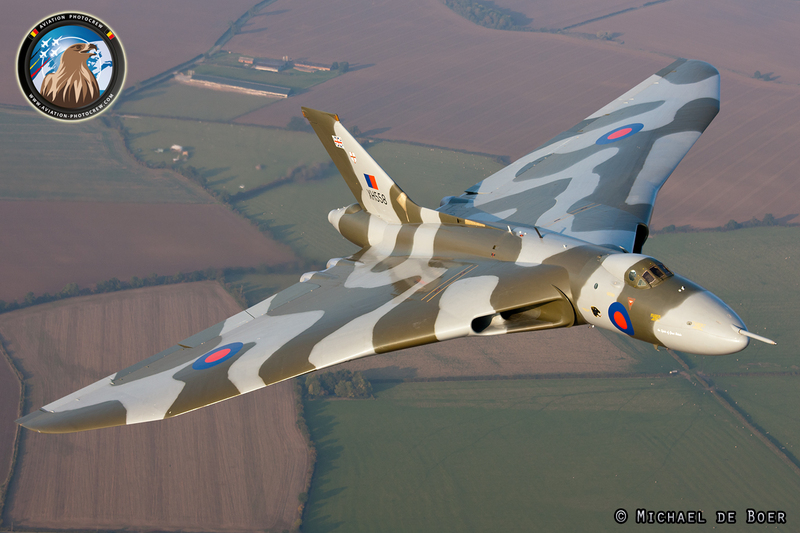 Having had the great pleasure to work together with the Vulcan to the Sky organization and crew, during multiple photoshoots, we are very honored to have been able to support the Trust with our images. 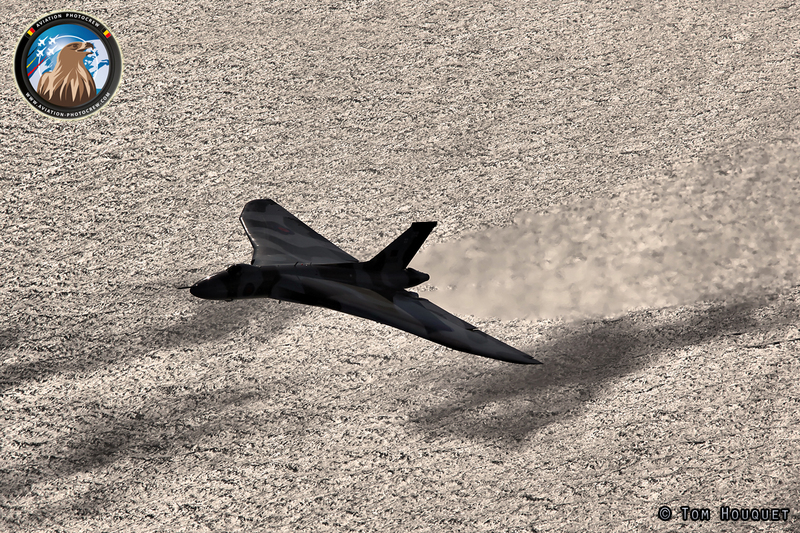 Hereby we would like to thank everyone who made these flight possible!